This 40’ x 40’ Blue Poly Tarp or Polyethylene Tarp is made with 3.5 oz/sq yard (9 strands vertically, 9 strands horizontally per sq in.) UV resistant top and bottom coating. 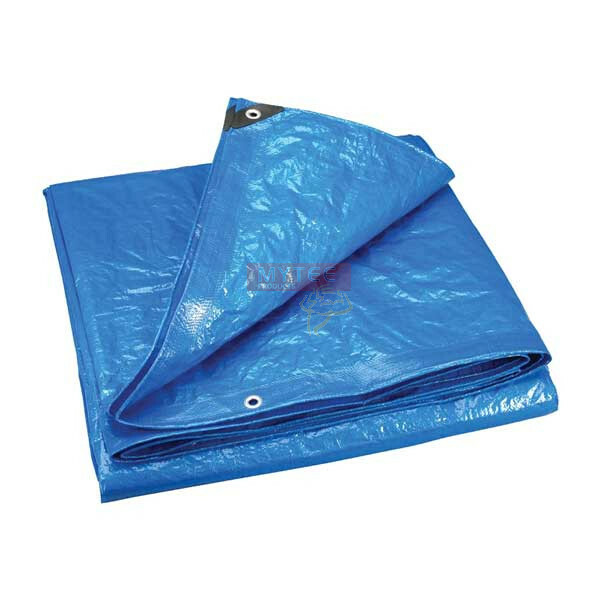 This blue poly tarp has all 4 edges heat sealed and reinforced with polypropylene rope. In this waterproof blue poly tarp you will find Aluminum grommets approximately every 3' on outside edge. Mytee Products 40’ x 40’ blue poly tarp can be used as Boat Cover, Ground Cover, Wind Breaker, Machinery Cover and Pallet Cover.